James Murray, an Accountant at Visionary Accountants St Albans moved south from Kendal near the Lake District to work alongside Chris Wallace, Managing Director at Visionary Accountants’ in March 2014. 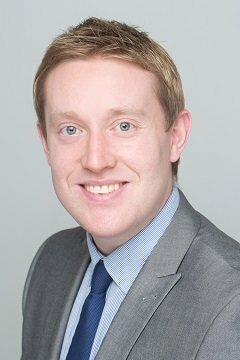 Since James joined Visionary Accountants’ the company has taken on more accountancy clients within St Albans and Hertfordshire. As a result of business development Visionary Accountants’ has recently employed two new staff. Anita Gordon is an Assistant Accountant, a Chartered Tax Adviser and experienced bookkeeper. Laura Mainwaring is an Accountant studying the Association of Chartered Certified Accountants (ACCA) qualification, and responsible for year-end accounts, tax returns and bookkeeping. James specialises in providing compliance tax and accounting services to a broad range of small to medium-sized businesses, as well as individuals and sole-traders. James has worked in practice since 2005 after leaving secondary school. He has gained a vast array of knowledge working for both small and large accountancy firms. He is currently studying towards completing his AAT qualifications and has future aspirations to study ACCA.